Today we lead the worship. 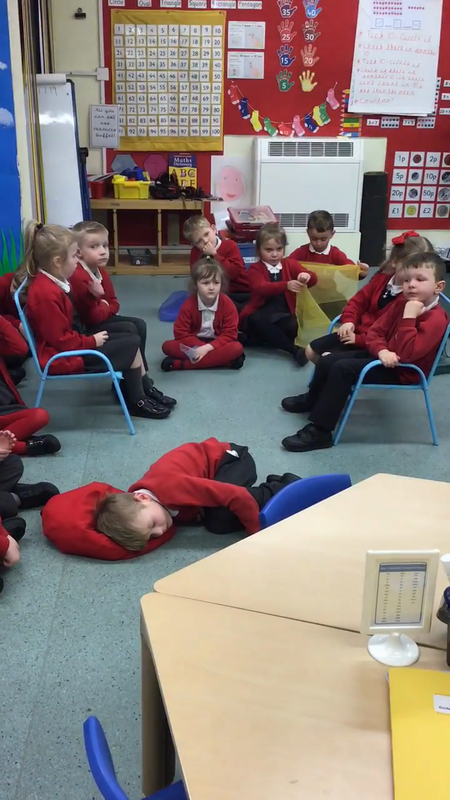 We spoke about making decisions in life and how some decisions are hard. We learnt that you can always talk to God. Using our story telling actions we told the story of "The wise man who built his house upon the rock". 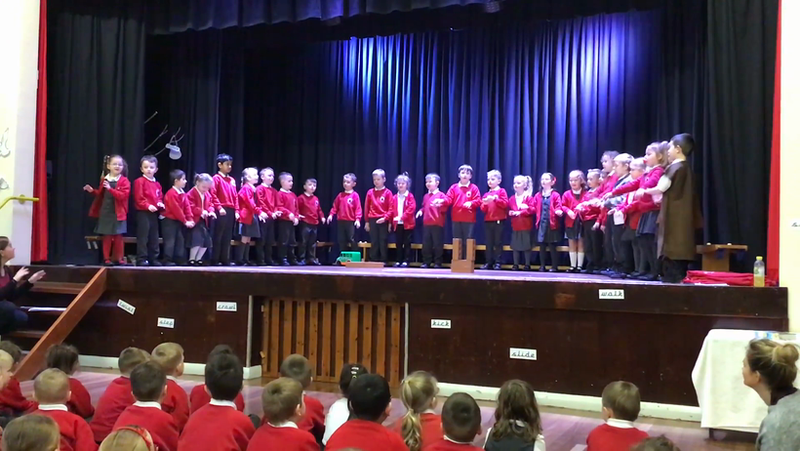 We then performed the song to our audience. 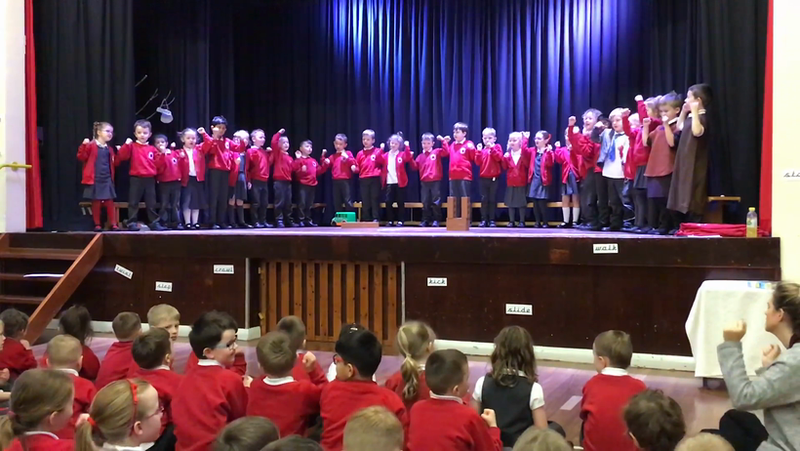 We learnt about what the bible said about making decisions. Thank you to all those family and friends that came to watch us! Today we started our new RE topic of "New Life". To start the topic we went on a walk into the woods to look for signs of "New Life". The children could identify buds, shoots, daffodils, and that grass was starting to grow were all signs of new life. Today we read the story “Jesus calms th storm”. 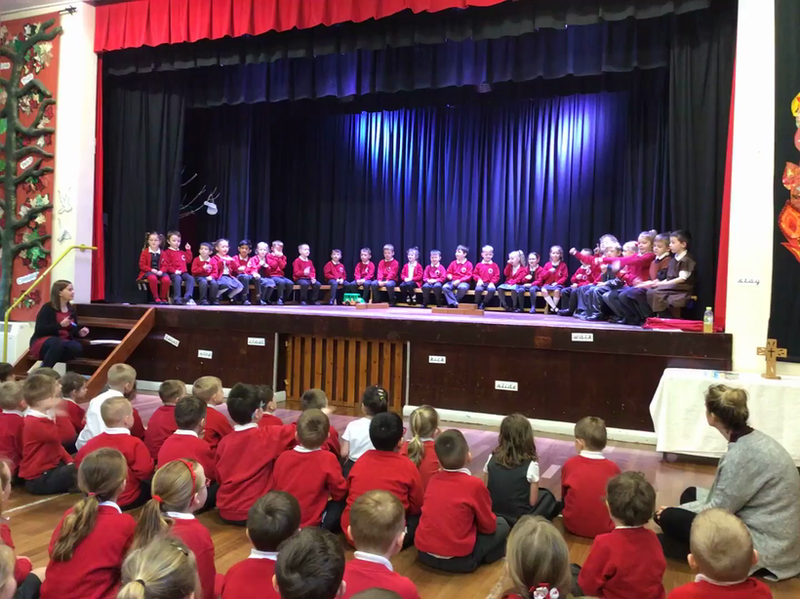 We then performed the story. We watched a video about the shoe box appeal. The children were very interested to see where the shoe boxes went. The children were very keen to help. We decided as a class to make a shoe box for a baby. We brought in lots of different baby items. This afternoon we started our RE unit. We discussed that God created the world. We then decided to make our own creations.